“…playing under the table and dreaming. Take these chances…” I shout the words to one of my favorite songs as we watch the video on MTV. Nina sits in silence, mesmerized by the band and their instruments. Stella jumps up and down next to me on the bed, wild and reckless when it comes to all things music—like her mama. “Mommy you sing it so good!” Little Stella loves when I belt it out. An idea pops into my head, and I can’t help but share it with Tommy. “Hey, do you think they’re too young for a concert?” I nudge him awake and he tugs my flannel clad arm, causing me to fall onto him. He tangles his hands in my hair, tracing my jawbone with his nose. “Good morning, my love.” My hero adorns me with a kiss. It stirs something deep within—it’ll have to wait until later. Damn him for being so gorgeous even when he’s groggy. “Anything for my three princesses.” Tommy pulls our daughter into his strong arms, kissing her neck. She wriggles from the pinch of his scruff, but it doesn’t deter Nina from joining in the fun. Their playfulness and excitement squeeze my heart with pride. So crazy to think we were afraid to be parents so young. Life works in mysterious ways. I laugh as I watch the girls flailing their tiny limbs beneath Tommy. “Stop, Daddy, stop. It tickles too much.” I can’t tell which of them it comes from—they both have identical cherub-like voices. The kind that echoes through the house making it a home. It warms my insides, and brings a satisfied smile to my face. My girls. Our girls. Our happy little family. After roughhousing the girls around, they escape with blotchy beard-kissed cheeks and stare at the television from the edge of our bed to watch the remainder of the music video. Both of them mumble the lyrics in their own funny way, making up words and stringing together their own nonsensical sentences. When I found out that Faith was writing this novella I was so excited. After reading Feel Again I wanted to know all about Tommy and Gabby’s relationship from how they met, to their first kiss, to how they ended up husband and wife. I wanted it all. Ms. Andrews did not disappoint and in fact she gave me so much more than I ever expected. Tommy and Gabby met when they were just kids. Tommy saved Gabby from the neighborhood kids who were mean to her. That day as just an eight year old girl, Tommy Edwards became her hero. But little did she know that throughout her life he would continue to be that person for her. Tommy and Gabby became best friends but as they both got older their feelings started to change. Tommy saw Gabby as more than just a friend and he was determined to prove to her how much she mattered to him and how much he loved her. And Oh My God did he show her! You honestly don’t need any more info about this story than what I have given you. This is a beautiful story of true love and friendship. And even when you are going through the worst of times you can always count on the ones you love to be there for you. First Came You in a prequel to Feel Again. 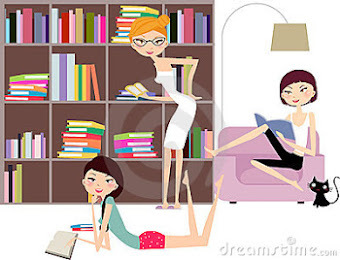 Do you have to read the book first? Absolutely not. For those that have read Feel Again and are nervous about reading First Came You let me say this: READ THIS NOVELLA! Trust me on this. I loved Feel Again but after reading this novella it gave me a whole new perspective on Gabby’s character. I understood what she was going through but when you see her relationship with Tommy and how much he adored and loved her. When you see how much they had been through together and just how deep their love was, it makes you completely understand Gabby’s hesitancy for moving on. You just get it! Tommy and Gabby had that amazing love that gives you goose bumps just thinking about it. You know when you are younger and just seeing the person you love gives you butterflies in your stomach? That’s what they had. Tommy was the best of the best. His love for Gabby was so evident and clear in his words and his actions. There really are no words to describe him. He had me from the moment I met him and I didn't want to let go. Gabby and Tommy went through some ups and downs and their relationship was tested but their love was too deep to ever let anything completely ruin them. Sometimes you have to make decisions in life and do what’s best for the person at the time, but knowing in your heart that no matter what, you will never give up. That some how you will always find your way back. Gabby and Tommy had a love that every one dreams of. A love that everyone needs to experience in their life. It’s that once in a lifetime love, a love that bonds two people together forever. They had that and so much more. I can’t even express how truly beautiful this story was. It is a story of love, loss and friendship. 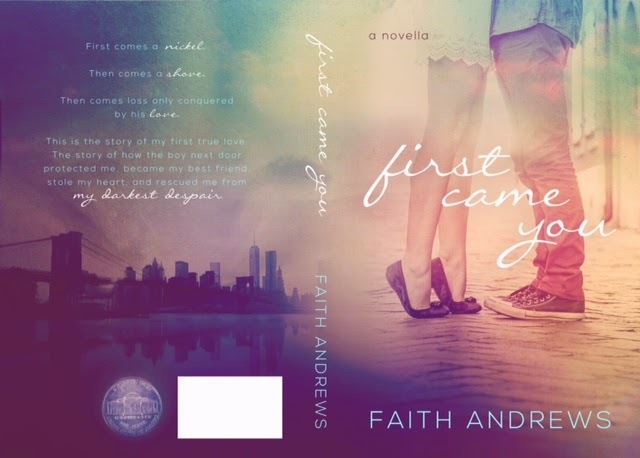 Faith Andrews did such an amazing job with this prequel and her ability to make me feel all of the love and the emotions of these two characters is what made this book a 5 star read for me. It is beautifully written and just perfect. Have you ever read a book and when you get to that last page you just sigh with a smile on your face as you turn off your e-reader. And the next day you are still thinking about it? Yes I guess you would call that a book hangover and that is exactly how this book left me. Completely hung over. Thank you Ms. Andrews for giving us Tommy and Gabby’s story!